Noida-based TLabs, an incubator run by Times Internet Ltd (TIL), has disclosed names of seven startups that it has picked for its fifth batch that commenced late last month. The startups come from sectors like fashion, gaming, publishing, real estate, cloud and digital marketing, and will undergo incubation for four months. 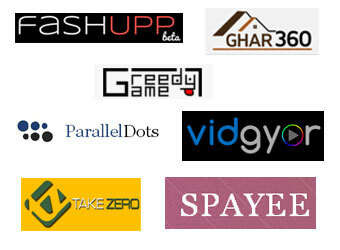 With this batch, TLabs has taken its portfolio count to 30 startups. TLabs typically invests around Rs 10 lakh ($15,122) for 10 per cent stake in an incubatee company. Interestingly, unlike the last batch that included a number of student entrepreneurs, this one has seen a steep rise in the number of seasoned entrepreneurs. Fashupp: It is a social fashion platform to discover and create interactive mash-ups of latest fashion trends and looks, thereby increasing user engagement and leading to more online sales. Currently, Fashupp provides a catalogue of more than 2 lakh apparels and accessories from a range of large and boutique e-commerce stores. ParallelDots: This is a tool that allows any content archive to be presented in a story using advanced techniques of NLP and machine learning. For publishers and bloggers, it automatically creates a timeline of any event using their archive and presents it in an interactive, intuitive and easy-to-navigate interface on their webpage. Vidgyor: It enables broadcasters and content distributors to monetise live TV streams by inserting targeted mid-roll advertisements on any internet connected device. This in turn increases advertising inventory and optimises revenue by aggregating ad-networks. Ghar360: It is a cloud-based 3D augmented reality platform for home design that allows users to customise and visualise their dream home even before they buy or build it. It also allows architects and builders to exhibit their projects in an innovative way that can be used as a quick sales and marketing tool. Spayee: It enables institutes to set up cloud-based smart digital libraries comprising eBooks and other educational content such as notes, assignments, project reports, etc. The personalised platform also allows users to link their notes and resources to any topic while providing accessibility from anywhere and across any device. TakeZero: It is attempting to organise the currently disparate talent industry by providing a marketplace to connect creative and performing artists like models and actors with talent agencies. Using the platform, professionals can showcase their portfolios and build their personal brands while talent hunters can run campaigns and manage audition events online. GreedyGame: It is a platform for advertisers to create effective and engaging digital marketing campaigns. With GreedyGame, brands get to tell their stories to consumers using in-game characters while game developers get a new source of monetisation through native advertising.